As a surprise joke to our friends, we hired Mariachi’s from the Mariachi Plaza in Boyle Heights to spice up the party. Darrel Swalla, I met him at my friend’s party over the weekend. He is a Landscape Architect and talented designer from Boyle Heights. The Main Course: Bacon wrapped lamb and Polenta cake garnished with stripped seasonal vegetables. Adam Silverman(Heath Ceramics) and his work. Adam created this captivating table piece for our dining table at Laguna Art Museum’s fundraiser: Palette to Palate. 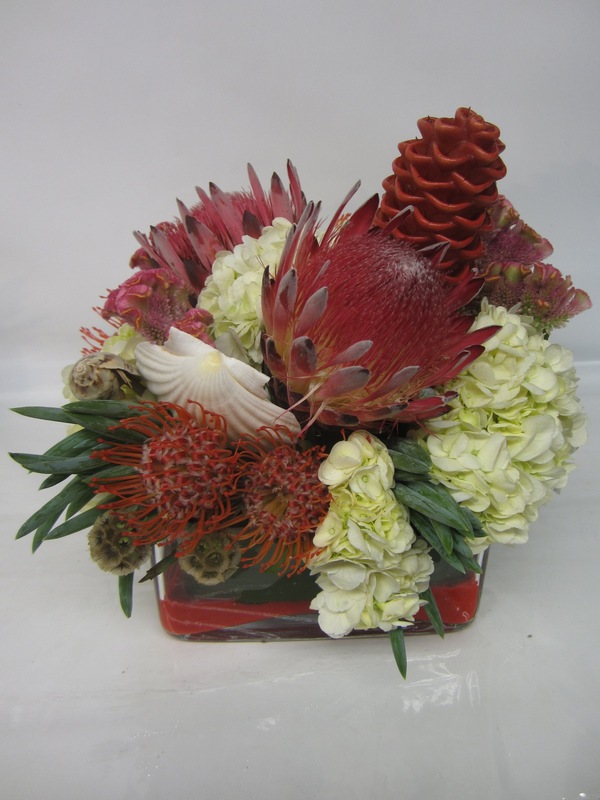 The client requested red beach textured flowers and this is what I came up with.